As you saw last week, we took out five high-level hockey players, put them on their normally preferred radius of hollow and then put them on a mystery hollow. After a few skating sessions on both hollows, we documented their thoughts. Like sticks and skates and every other aspect of hockey, skate sharpening is evolving. What used to be available only to the pros has now made its way to Juniors, College, and youth. While most hockey players still drop their skates at the shop and never specify the hollow they prefer, we're seeing more and more players becoming educated about the options they have and how a change to their hollow might impact their game. Stanley Cup champion, Hal Gill, was kind enough to stop by and play a little game of '20 Questions'. Take some time, learn a little about Hal. Mmmmmmm, the smell of fresh spring air. Such a welcome change for hockey players and hockey families around the globe. Ask any hockey player at any level and they’ll likely agree, there’s nothing quite like playing this great game outdoors. We’re seeing it at every level, from the NHL, to the NCAA, to High School and recreation, more and more people are making time for outdoor hockey each winter. Today Sparx launched a new product; one we’ve been talking about for a while, one we’ve been testing with NHL equipment managers and other professional skate sharpeners, and one we know many, many Sparx customers have been waiting for for a long time now. Back in June, we had the opportunity to bring Sparx in front of arguably the toughest audience imaginable; The Society of Professional Hockey Equipment Managers, or SPHEM. For us, this was both a milestone; as we were able to showcase our product for NHL equipment managers, and an introduction into their somewhat mysterious profession. Grip or Glide, What Gives You The Edge? A few weeks back, we published Three Simple Experiments All Hockey Players Ought To Consider. In that post we talk about the three main variables a skater can adjust to try and find the rocker, pitch and hollow that best suits their skating and playing style. Today, we want to zoom in a bit on just one of those variables; the hollow. There are 2 variables you can adjust when selecting a hollow; the shape and the depth. 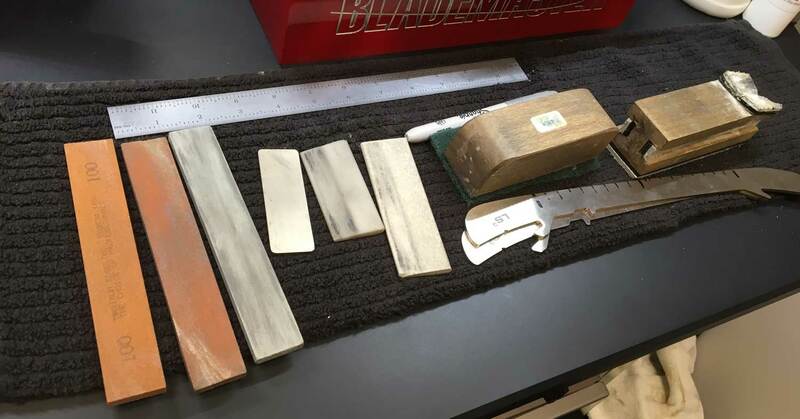 In previous posts, we have spent some time talking about what to look for in a great sharpening, skate blade contouring (rockering & pitch) and, of course, radius of hollow. At this point, if you are a reader of this blog, you pretty much have a handle on what these things are.